"TO BE BUILT" MODEL M OPEN RANCH PLAN WITH MANY GREAT FEATURES. KITCHEN HAS GRANITE COUNTERTOPS INCLUDING A CENTER ISLAND AND CERAMIC TILE BACK SPLASH, STAINLESS APPLIANCES. ENJOY THE OPENNESS TO THE DINING ROOM AND VAULTED FAMILY ROOM. THE MASTER SUITE HAS A TRAY CEILING, TWO WALK-IN CLOSETS AND A MASTER BATH. THERE ARE TWO OTHER BEDROOMS AND A FULL BATH ON THE SAME FLOOR. THE FRONT AND BACK PORCHES HAVE STAMPED CONCRETE. THERE ARE OPTIONS TO HAVE STAIRS TO THE SECOND FLOOR FOR STORAGE, AN OPTIONAL BONUS ROOM OR AN OPTIONAL FOURTH BEDROOM AND FULL BATH. Ready to visit MM M Gardenia? Request a free property tour! 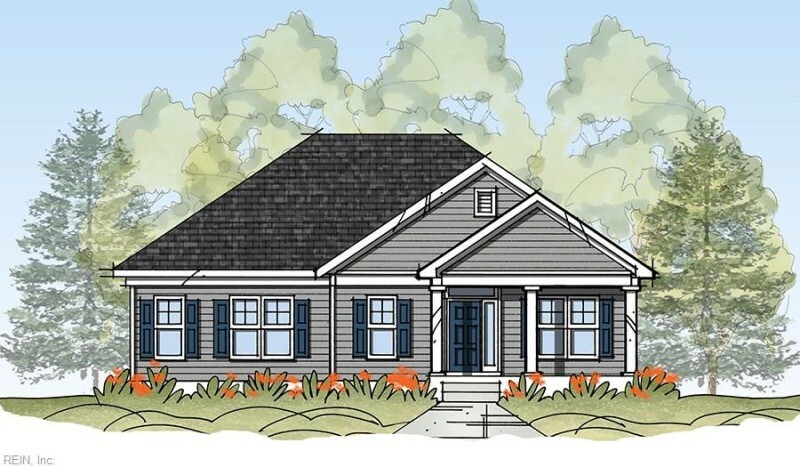 Send me more information about the listing at MM M Gardenia, Suffolk, VA 23435, MLS# 10166358. This 3 bedroom, 2 bathroom home located at MM M Gardenia, Suffolk, VA 23435 has approximately 1,771 square feet. It is currently listed for $362,900 and has a price per sqft of $20,491. This home is currently Active under the MLS#: 10166358. This listing is provided by BHHS Towne Realty. MM M Gardenia Court, Suffolk was built in 2017. It has Garage Att 2 Car, 2 Space, Covered, Driveway Spc parking.The kitchen includes Dishwasher, Disposal, Dryer Hookup, Microwave, Gas Range, Washer Hookup. MM M Gardenia is part of the Parkside At Bennetts Creek neighborhood located in 23435.